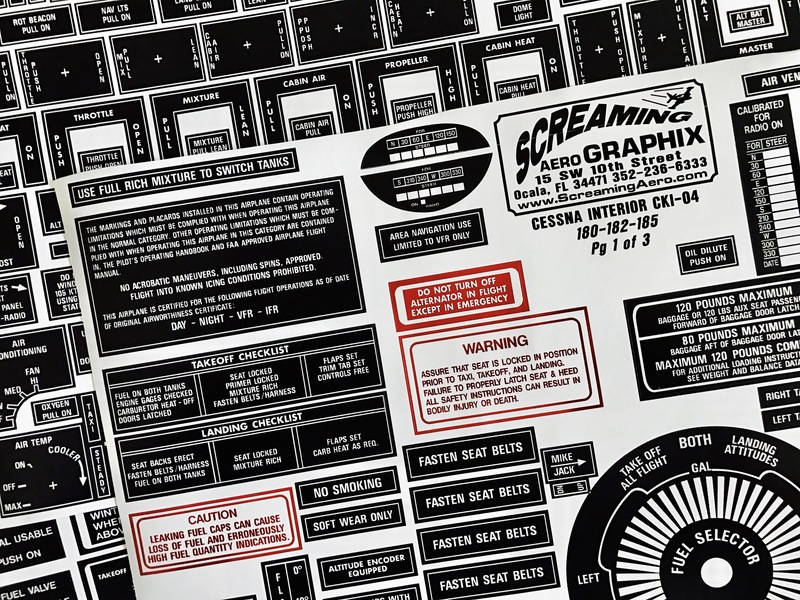 I finally got around to getting new placards from Screaming Aero Graphix to replace the ones on the original panel. I’m looking forward to putting these up. These are for a Cessna 182. Screaming Aero sells them for many different airframes.